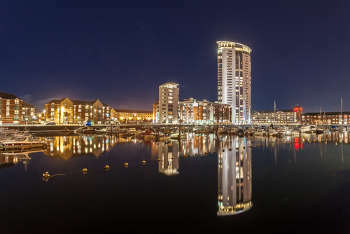 Contractors have secured places on various lots of the £300m South West Wales Regional Civil Engineering Contractors Framework, including five companies that won positions on the major works element. The works on Lot 8 of the Large Civil Engineering Works are projects valued at more than £5m, with a potential £50m in total up for grabs. A total of nine tenders were received for this lot. The winning contractors were Andrew Scott Ltd, Walters UK Ltd, Dawnus Construction Ltd, Alun Griffiths (Contractors) Ltd and Dyer and Butler Ltd. Lot 7 for Medium Civil Engineering Works valued between £1.5m and £5m has also been announced - the total value of the lot is £43.8m. Out of a total of 12 tenders, the winning contractors were: Knights Brown Construction Ltd, Walters UK Ltd, Dawnus Construction Ltd, Alun Griffiths (Contractors) Ltd, Dyer and Butler Ltd.
Small civil engineering lots have also been awarded. For further details click here. Carmarthenshire County Council in association with Ceredigion County Council, City and County of Swansea Council, Neath Port Talbot County Borough Council and Pembrokeshire County Council are all part of the framework and have appointed the contractors to supplement their in house direct labour organisations. The framework covers a three-year period, while the total value includes provision for unforeseen and unplanned work throughout.